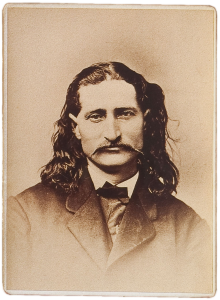 Hickok was a radical abolitionist before and during the Civil War and worked for the Union Army as a teamster and scout. He became a deputy U.S. marshal after the war and earned a reputation as an uncompromising lawman for his work as sheriff of Hays City, Kansas, and as marshal of Abilene. 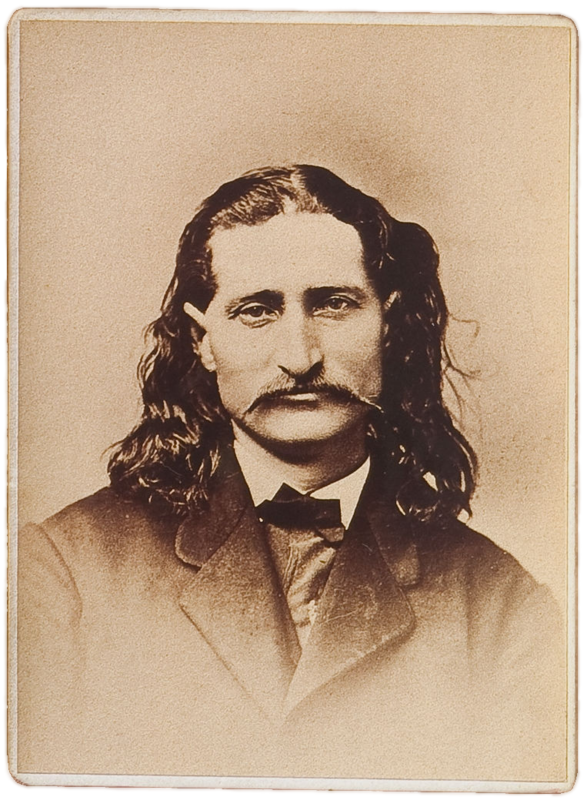 He exploited his fame as star of Buffalo Bill’s Wild West Show during 1872–1874, then became a drifting gambler, who met his end on March 1, 1877, at a poker table in the Number Ten Saloon in Deadwood, Dakota Territory, shot to death by Jack McCall, a total stranger.